Do You See Jesus When You Worship? I get the opportunity to travel some for my job. I wrote this post sitting in the balcony of Calvary Baptist Church in Lancaster, PA. Just a heads up, the pronunciation for this city is closer to “Lancester”. I offended someone at a local pizza place. This is probably one of my favorite conferences. They have three locations and I am at the first one for 2013. 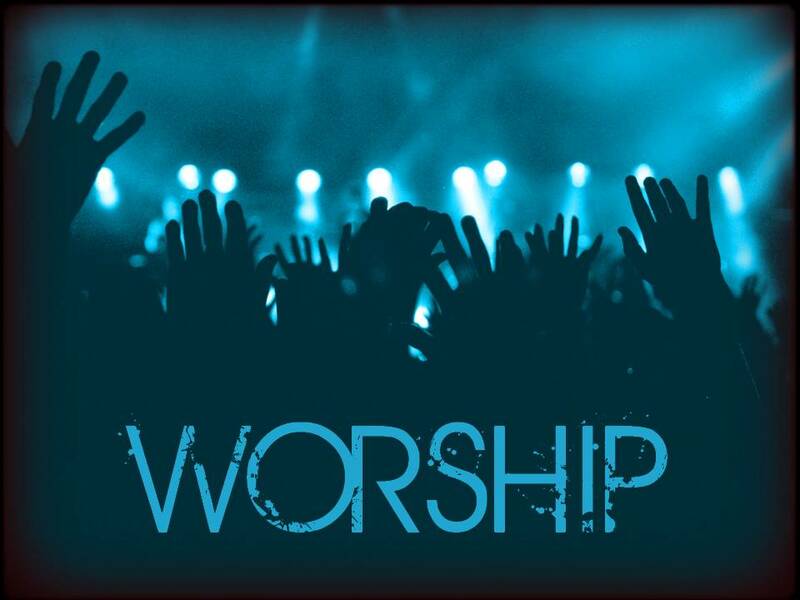 The topic of Worship holds a special place in my heart for a couple reasons. Needless to say, I love talking about and discussing all the various components of worship within the context of a local church. My favorite topic, however, is that of theology. Our understanding of theology and the implication of how we read the Biblical text play’s out very practically in the songs that we write or chose to sing. While at the conference a pastor named Steve Berger spoke for a general session. While the overarching theme of the conference is worshiping in spirit and truth, pastor Berger made one statement that caught my attention. He asked everyone, “When we worship, do we see Jesus”? In all honesty, I’ve found that many times leading worship I didn’t see Jesus. I thought about Jesus, I was focused on Jesus, I wanted other people to see Jesus. However, I did not make it a habit or practice to ask myself if I saw Jesus when I worshipped. There are some common issues, challenges, and fear’s that most worship leaders face. Possibly the most prominent or popular is pride. Worship leaders are always working towards humility, ensuring that they are not getting prideful, and working hard at being a humble servant. I wonder, if these things would be reconciled if we just saw Jesus when we worshiped. As I think about the implications of seeing Jesus when we worship, I think the following will occur. Our desire for approval will be satisfied – We are always looking for approval. Typically, this comes from the lead pastor, the church congregation, or our musicians and band. When we see Jesus when we worship, his approval of us is ultimately satisfying. The best part, is that his approval of us is not based on what we did, but what Jesus accomplished on the cross. Our songs become more theologically sound – When we look to Jesus and focus on him, our preparation for worship in song choices will reflect the personhood of who Christ is. Simply, the songs that we write and the ones that we choose become centered around Christ. We are able to lead more effectively – When we see Jesus during our worship, we are inevitably drawn to him. As we draw near to him, it becomes our goal and heart’s desire to point others to him. As we point others to him, we become satisfied in his exaltation. I would also encourage that we expand the definition of worship beyond singing songs during a worship service. We worship God or have the capacity to worship him during every second, of every minute, of every hour. Our worship of God is a result of a heart that is postured to honor, exalt, and glorify God. So, do you see Jesus when you worship? In Bible College we never really talked about the practicality of death. Of course, we discussed the theology, implications, and consequences of death for the Christian but we never really discussed how to respond to the reality of death. My wife loves Gray’s Anatomy. This popular TV show was actually the cause of significant fighting during our first year of marriage. The scenario played out like this. We would come home from work, eat dinner, and then Britt would say, “I need to catch up on Gray’s Anatomy, watch it with me.” My response every time was, “no”. Britt felt like I didn’t want to spend time with her, when really, deep inside I was dealing with some significant issues. From my perspective the entire show was filled with death. Death was packaged in a variety of creative ways always dealing with some kind of medical crisis. Regardless, I couldn’t stomach watching it. Then it hit me, why watch a show about death when there are real people that are dying all around us. These people have real families, real stories, real children, and they face a very real conversation with God after death. 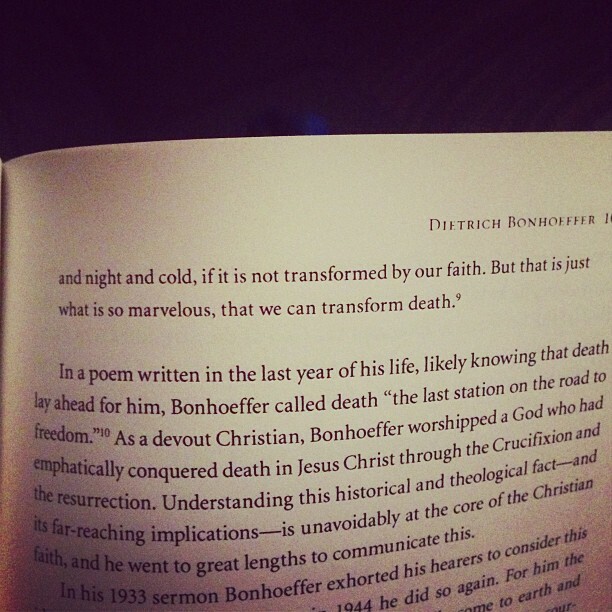 Bonhoeffer rightly describes the dilemma of death. In all honesty, none of us know what death is like. Our view of death is a combination of assumptions, fears, faith, belief, and simply our acceptance of an absolutely unknown part of life. As I look to the scriptures it seems clear that death presents an opportunity to bring glory to God. While it remains certain that we don’t know explicitly what death will be like, we can know for sure that both death and life give us the opportunity to bring glory to God. As the Apostle Paul states in Phil 1:21, life brings the opportunity to live for Christ while death gives the opportunity to depart and be with our Father. From this perspective, there is a motivation to live for Christ but a sense of peace in understanding the outcome of death is to be with God. Don’t let this cute face fool you, if you even try to touch his donut, look at it the wrong way, or ask for a bite, Liam will take you out. It’s scary to see in this handsome little boy a selfishness that no one had to teach him. These three words pretty much sum up my week and what God has been teaching me. I want my boys desperately to learn from my mistakes and become Godlier men and future husbands and fathers. Selfishness: Some may say that they want to teach their children to not be selfish. I may be crazy, but I want to teach my children to deal with their selfishness. I’ve come to terms that selfishness is part of my sinful nature. The only remedy is remembrance of the Gospel. As I remember how selfless Christ was, it compels me to become selfless like Christ. The key is not me doing something, but resting in what Christ has done, and in remembrance of Him, responding. Grace: I screw up. Sometimes, it feels like more screwing up than not. Then comes the beauty if grace. It’s not something I work towards and build up to have available to use when I screw up. It’s free, it’s costly (Christ crucified), and it’s given to me. Again, remembrance is key here. As we remember the grace extended to us, why would we not extend it to others? Forgiveness: May possibly be the hardest thing for me. I tend to be extremely loyal, but when I’m hurt or feel betrayed forgiveness does not come natural to me. Speaking of betrayal, I’m pretty sure I’ve betrayed Christ in numerous ways today. As I reflect on today specifically, I betrayed him most frequently by not trusting Him. He doesn’t hold this against me. He forgives me. Remembrance of Christ’s forgiveness, sets us free to forgive. 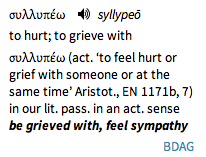 If you caught a theme, it might be summed up in one word – remembrance. I pray my sons would remember all that Christ has done. It’s key in the solution to our selfishness, the ability to extend grace, and having the capacity to forgive. Why Memoirs To My Kids? To be very honest, the thought of writing a blog is not something that is incredibly appealing to me. I love theology, leadership, and discussing various philosophies of ministry. Writing blogs is not in that list. During some sermon preparation two years I ago, I started to see a consistent theme among pastors, theologians, scholars, and teachers that I valued and respected. They all wrote consistently. Some of my favorites like Charles Spurgeon, C.S Lewis, and Jonathan Edwards kept consistent journals and wrote to those that they loved. Hundreds of years later, there disciplined approach to writing left us with the ability to learn and grow from their thoughts. 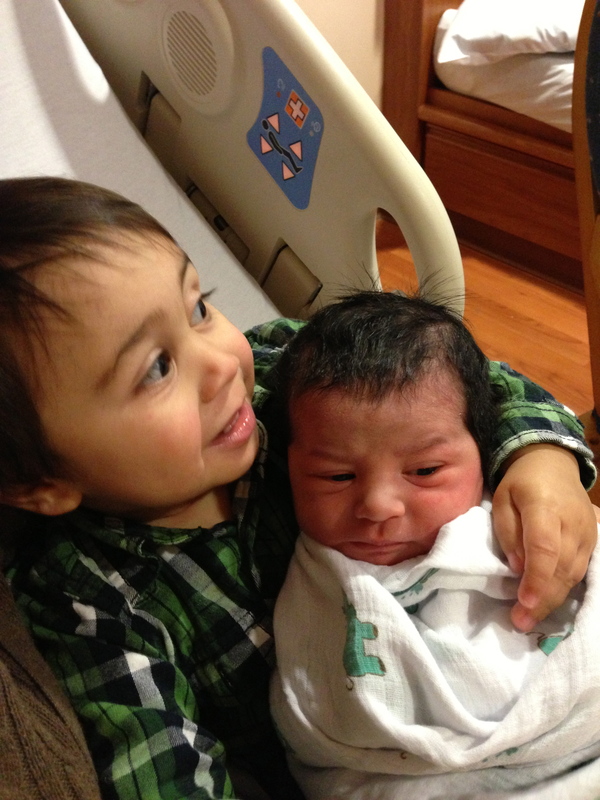 17 months ago my son Liam was born and one week ago my second son Levi joined us. 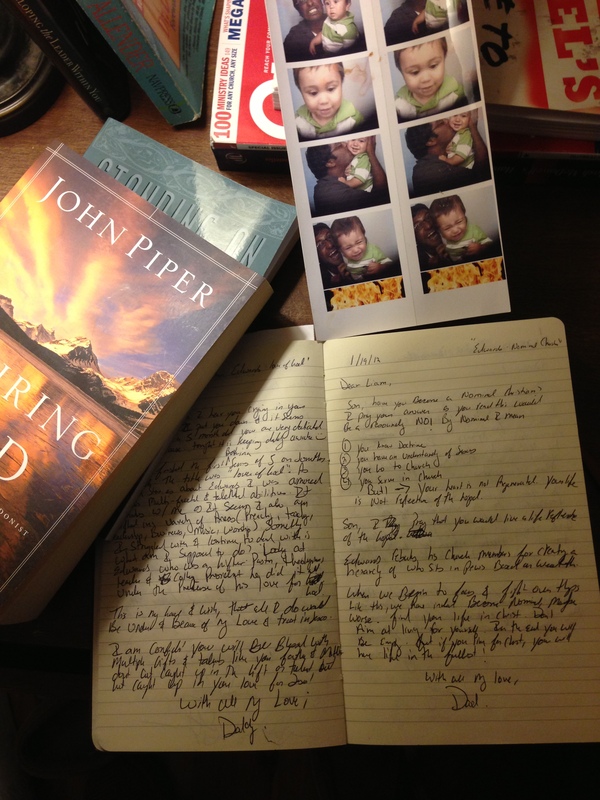 As I was praying I felt an overwhelming compulsion to start writing specifically to them. I wanted Liam and Levi to be able to read my thoughts and see how the Gospel was actively transforming their incredibly flawed and sinful father. I wanted to be able to provide them the opportunity to learn from my experiences, successes, failures, and hardships. With the desire that they would experience the incredible power and refining of the Gospel, even beyond what I have. Liam and Levi are an absolute joy, and I pray that these posts would encourage others that stumble upon this blog to experience the beauty of the Gospel and grow in their affections for Christ. My next post will be Levi’s story and how God showed us his Glory through some challenging moments these last 9 months.